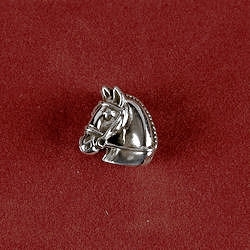 This bead with snaffle is unique and the perfect addition to your bracelet or necklace. It is an original Jane Heart design taken from 9003BDP earring and has my Jane Heart signature and copyright stamp on the bottom. 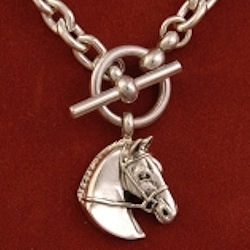 Perfect for Hunter/Jumper or Dressage riders. Measure 7/16″ by 7/16″. All beads fit the brand name bracelets Pandora, Trollbeads, and Chamilia or buy a bracelet online here. 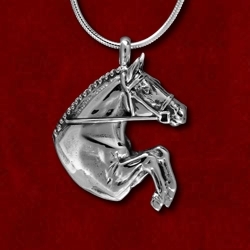 The horse head is on both sides and reversible so you can have the horse head face you or turn it to show a friend your special horse bead. 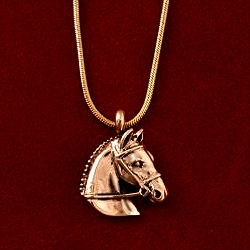 Start collecting and order yours today!